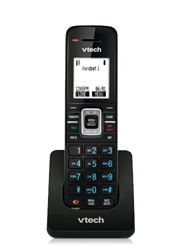 The VTech VSP725 is a ErisTerminal™ SIP Entry-Level Deskset that handles up to 3 SIP lines / accounts amd manages multiple calls with advanced call handling features. 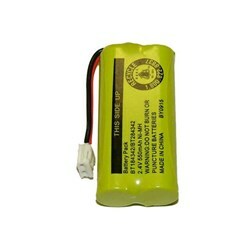 The phone can be Programed up to 12 dual-function feature keys for convenient access, including shared call appearances (SCA), busy lamp fields (BLF), quick dial and feature codes. 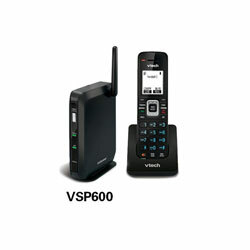 The VSP725 is a full-duplex speakerphone with HD voice quality makes the experience more true life. The phone features dual ethernet ports, power over ethernet, multi line support and can handle up to 6 active calls and 3-way conferencing. 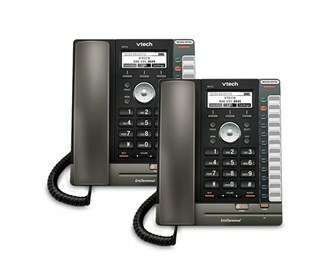 The VTech VSP725 No Service (2-Pack) has many exciting features for users of all types. You can extend the lifetime of your VTech VSP725 No Service (2-Pack) with the purchase of a FactoryOutletStore Factory Protection Plan. 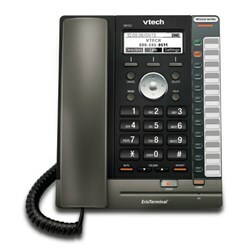 See the VTech VSP725 No Service (2-Pack) product video and gallery images above for more details. 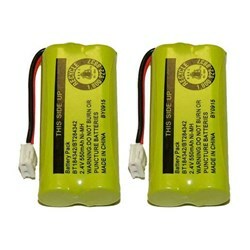 FactoryOutletStore stocks a full line of accessories like BAT-6010, BATT-6010-2 Pack, and DECT 6.0 SIP Cordless Base Station for the VTech VSP725 No Service (2-Pack). 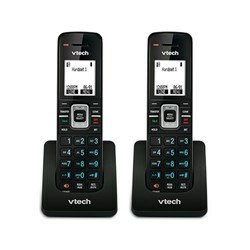 The VTech VSP725 No Service (2-Pack) is sold as a Brand New Unopened Item.